The first competition of the Greek season was played in Heraklion (Crete) last week-end. 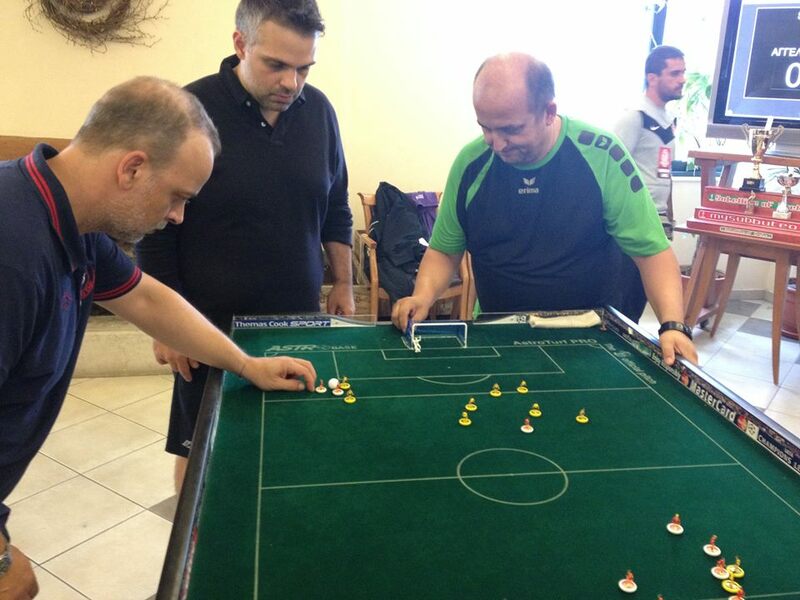 The Satellite tournament was held in the island, organised by the local club of Blade TSC in Heraklion. 13 local players and 11 travellers from Athens and Patra enjoyed an excellent hospitallity provided by Vaggelis Liolios and his teammates. – Pobladores Griegos won the team event, beating Glyfada in the final. – in the under 12 James Liolios Jr was the winner. – in the veterans Giannis Voulgaris won the final against Dimitris Mallias. – finally in the open Andrianos Dervis beat on shots Chris Aggelinas. It was the first official tournament played in Crete since the summer of 1986, 28 years earlier. Also all winners manage to record their first ever win in any type of competition. Full results are available in the Results section. This entry was posted in FISTF News and tagged Greece, Results, Satellite. Bookmark the permalink. ← Czech Republic is Back!